Both Nike and Adidas have released new boots which will have you playing with the likes of Neymar and Rooney in no time... probably. 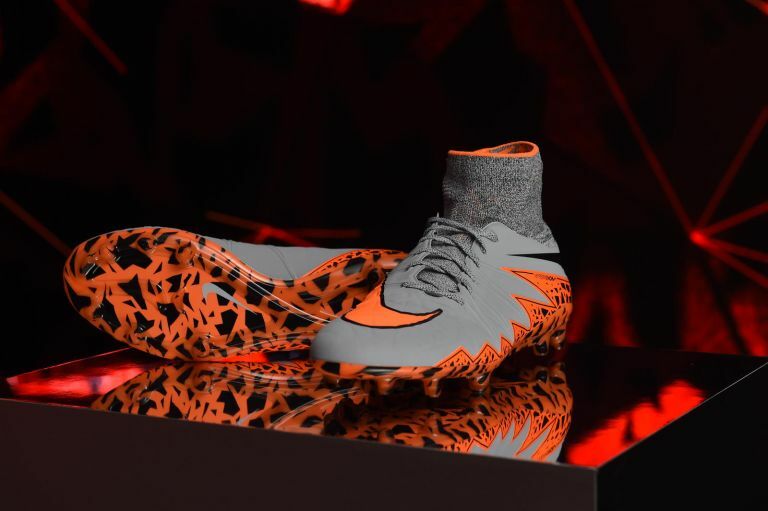 In 2013, Nike launched the Hypervenom football boots to much fanfare. Since then, the company has been working hard on a successor, and they're finally here. The Hypervenom IIs are "designed for attacking", providing plenty fo grip allowing you to move quickly in any direction. Key innovations include a new dynamic fit collar designed for comfort and support, a foot informed design, a softer sole plate, zig-zag sidewalls, and a bold, aggressivedesign. Just like buses, Adidas have also lifted the lid on some new boots, the Adidas ACE and Adidas X. The company has identified two types of players, those who cause chaos (X) and those who control everything (ACE). The Aces feature a new 3D design on the top of the boot which provide ultimate control, a 3-layer compound combines with grippy EVA for an unbeatable touch, and a groundbreaking new stud configuration puts more studs on the ball during foot-over moves. While the Xs feature a number of brand new technologies for the game changing player, including a techfit collar for superior support and fit, an x-claw base for traction, and a fragmented and lightweight design. Both the Adidas ACE and X will be available to purchase from Adidas retail outlets worldwide on July 1. The Nike Hypervenom IIs are available now via the Nike Football App, and will appear on nike.com from May 27.